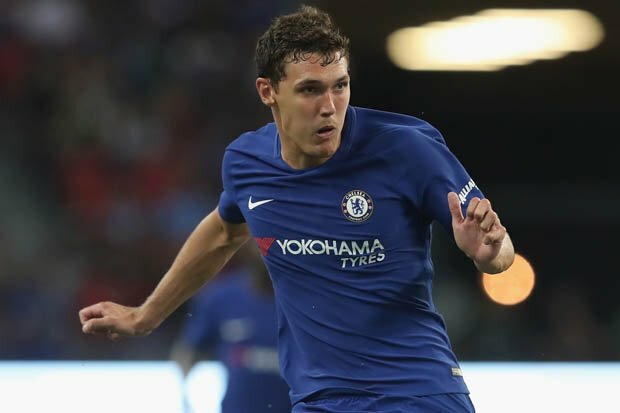 Chelsea manager Antonio Conte has hailed the progress of Andreas Christensen, who he believes has the potential to become the next John Terry. The Denmark international made his Premier League debut for the Blues earlier this season after having gained experience playing regular first-team football with Borussia Monchengladbach. The 21-year-old was one of the Bundesliga’s most consistent centre-backs during his two-year loan spell with Monchengladbach, and he has translated a similar showing at Stamford Bridge, where he has been able to command a regular spot in central defence. Christensen started the season playing second fiddle to the first-choice partnership of Cesar Azpilicueta, Gary Cahill, and David Luiz. However, his impressive form influenced Conte to make a change with Luiz being dropped to the bench last month owing to his average displays. Luiz has since been on the sidelines with a knee problem, and it appears that Christensen is not giving up his position anytime soon. The Dane was a surprise omission from the matchday squad during the 2-0 win over Brighton & Hove Albion, but Conte clarified that defender was suffering from illness. Chelsea are currently third in the Premier League standings with 42 points, and they are now just one adrift of second-placed Manchester United, who settled for a disappointing 2-2 draw versus Burnley at Old Trafford. The stalemate sees the Red Devils 12 points behind leaders Manchester City, who have an extra game in hand.